$15 credit for them, $30 credit for you! Help us spread the word! Anyone you refer gets a $15 credit. 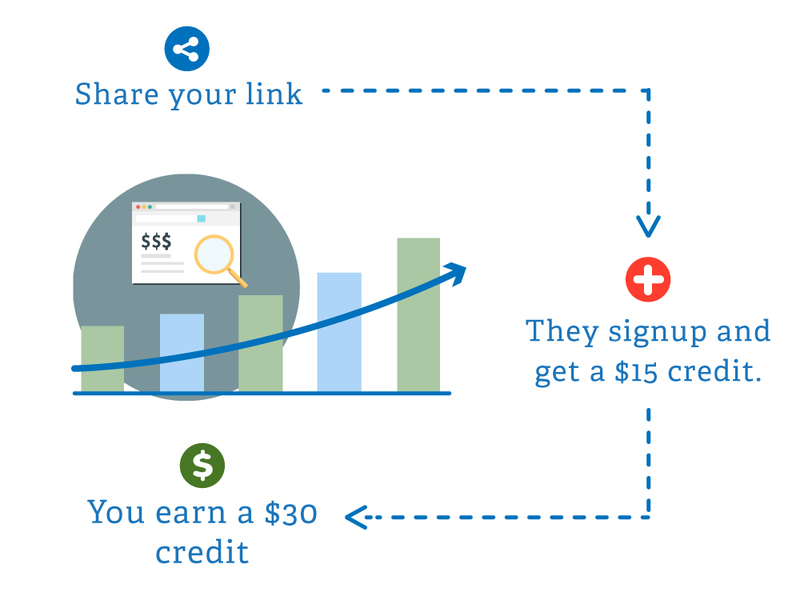 Once they signup and spend $30, you’ll get a $30 credit. The more people you refer, the more credit you can earn! They sign up using your referral link and get a $15 credit. You earn a $30 credit when they spend $30 with us. If you don't have an account, sign up to get your referral link. You can also download our logos and badges here.